The Smile Spa offers a full array of dental services to help you maintain healthy teeth. You can read more on this page about specific services. Preventive care is the foundation of good dental health. 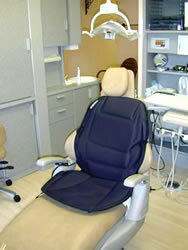 Our approach to oral health is comprehensive and customized to meet the needs of each individual patient. We conduct thorough examinations, asking and answering lots of questions. In addition, we do everything we can to provide you with important “self-maintenance” tips to optimize your dental care. Regular Check-ups – the key to sustaining your dental health! Our philosophy is that all dentistry should look great. 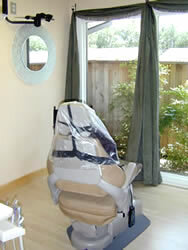 We pride ourselves on restorative work that is not obvious and does not “intrude” upon your smile. There’s simply no reason why you shouldn’t feel, and look, great! Statistics show 80% of all adults over 35 years of age will have some form of gum disease. Left untreated, this condition can lead to serious diseases and conditions such as diabetes, stroke, heart disease, low birth weight babies and even premature babies. Additionally, proper restorative care of teeth cannot be performed on diseased gums. Think of your gums as the foundation to a building; you can’t build a house on a foundation that’s rotten or damaged! Most gum disease can be prevented if diagnosed and treated early. We take a proactive approach, offering thorough “preventive” exams as well as in-office diagnostic and treatment services. Our procedures are non-invasive and non-surgical, and we use a soft tissue laser to remove bacteria from infected gum pockets. This minimally invasive procedure is comfortable and effective. If your condition has progressed to the point where you require surgery, we can provide you with a referral. Be sure to have your teeth and gums checked regularly to prevent problems from gum disease. Cosmetic dentistry has long been of great interest to Dr. Nix. He attends many hours of continuing education to keep up with the constant changes in techniques and devices. When he expanded his facilities, he decided to create a separate “spa” for cosmetic work with a quiet and soothing atmosphere. Dr. Nix was one of the first practices in Texas to offer laser tooth whitening and he actually trained with the inventor of this technology. In fact, Dr. Nix now trains other dentists in whitening techniques. Because of his knowledge in this area, Dr. Nix often gets referrals from other dentists and enjoys the challenge of tackling particularly difficult cases. We offer a full range of orthodontic treatments, from very simple to very complex tooth movement. The braces are smaller and more comfortable than traditional braces. In addition to offering state-of-the-art proactive care for young children with developing teeth, Dr. Nix helps to perfect the smiles of many adults. In fact, over 65% of his orthodontic practice is devoted to adults seeking effective and long-term tooth straightening. Whatever the cosmetic procedure, Dr. Nix’s goal is to provide you with options that not only give a dazzling smile, but also preserve the structure and longevity of your teeth. But words can only do so much…visit our Photo Gallery to see for yourself! We also have an In-Office denture and partial denture lab personnel. Digital X-rays – allows us to see better detail with less radiation to our patients. Oral Lesion Identification and Marking System – allows us to screen for problems like cancer at earlier stages and with a higher degree of accuracy. Mini-Implants – secure full and partial dentures. From the moment you walk in our door we approach your comfort in a comprehensive manner.